Mr. A, aged 63 years presented with the complaints of non healing multiple ulcers for a period of four years over the left leg in the calf region. There used to be occasional burning and a watery sticky discharge. Since three days patient has also developed itching all over the body with burning which is < early morning 3- 4 am, < warmth and sweating and > by cold bathing. He is also having burning micturation. Patient has also got fullness of abdomen which is < eating as soon as. For the ulcer he has taken allopathic and ayurvedic treatment which gives a temporary relief, but not completely cured. He has been also taking treatment for hypertension and knee pain. Ulcers: Multiple ulcers on the left leg, Six in numbers. Base muscles and the floor had dark blackish coloured granules. 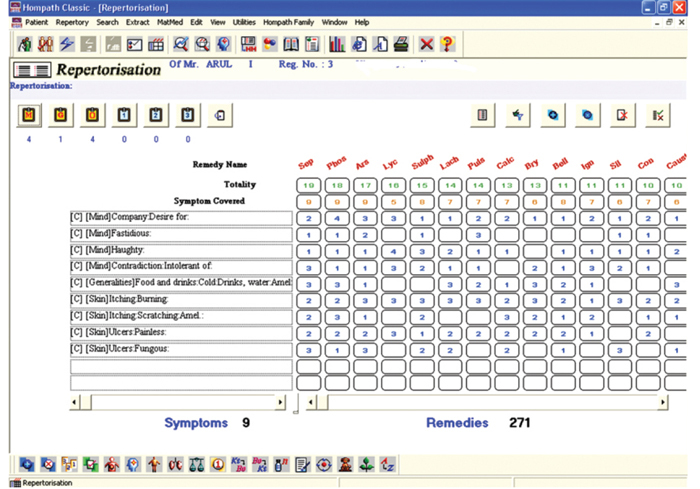 No pain and no localized lymphadenopathy. Finally Ars alb was selected and was given in 0/3 potency and was repeated for a period from 30-8-2010 to 3-9-2010 and then the potency was raised to 0'/6 from a period of 3-9-2010 to 8-9-2010. The ulcer healed with this time. 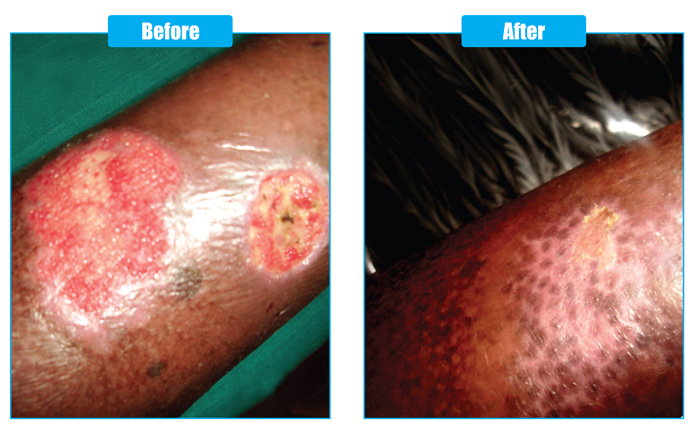 Mycetoma is a chronic fungal infection of the skin with ulcer formation and is very difficult to be cured by the conventional treatment. A homoeopathic treatment would be more effective in such cases.